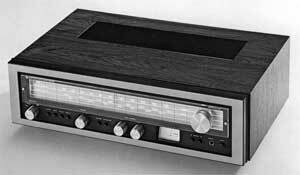 The Luxman R-1030 is a new receiver from Lux with optimum cost/performance ratio. An exhaustive review of current circuitry and functions in receivers has made it possible to achieve greater simplicity whilst still retaining the features indispensable to real High Fidelity. Power output of 30W/ch into 8 ohms both channels driven with 0.05% total harmonic distortion.